Today was picture day at school…no scratch that. 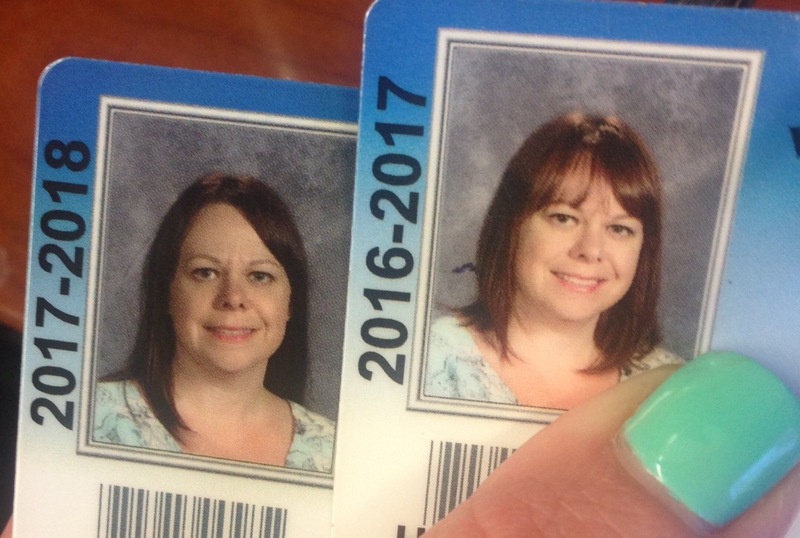 It wasn’t actually picture day…it was the day that is worse than picture day. It was the day the pictures we took weeks ago arrived at school. You know, the day you get that envelope with the clear plastic window on it—the one where you can see your beautiful, beaming child (or yourself) through it? The one that you proudly display for all to see and give out the wallets to anyone and everyone? Wait, you don’t know about this day? Oh, probably because it’s NON-EXISTENT!!! Except for people that naturally look like Barbie dolls, I don’t know anyone who actually ENJOYS getting their picture taken. It’s been the day that I’ve dreaded since…probably kindergarten. I don’t think I have ever taken a nice “School Picture”. And unlike most of the people I went to school with, my nightmare hate/hate relationship with School Picture Day didn’t end when I graduated high school. Oh no. I had to go work in a school so that every freaking year I have to get an ID picture taken by the sadists that must moonlight at the DMV and take driver’s license pictures. As if those things weren’t horrendous enough. Ugh. So I knew my picture was going to be bad when I got it taken. I was having a nice hair day, but the f$&*#$ photographer INSISTED on touching it. He was actually coming at me with one of those plastic combs that they SWEAR never touched another person’s head, but I told him I would seriously drop kick him if he put that thing anywhere me. So he abandoned the comb but still proceeded to push my bangs out of my face. Now, I had spent quite a long time on my bangs that morning. My bangs actually looked good for once in my life. They were at the perfect length and didn’t hang in my eyes. They covered the wrinkles AND blossoming zit on my ginormous forehead (three reasons I opted for the bangs that morning). There was NO REASON FOR THE $%&# PHOTOGRAPHER TO TOUCH MY $%&*# BANGS!!!! Yet, he did. And he ruined them. I couldn’t just sweep them back across my forehead. Oh no. My hair isn’t cooperative like that. It doesn’t just spring back into shape like the hair of the models on commercials. My hair needs to be coaxed and bribed to cooperate on a daily basis. My hair is like a temperamental two year old who had too much sugar and is melting down before bedtime. My hair reminds me of the skit on Sesame Street where Bert and Ernie are trying to make the bed and Bert pulls on one side and his side is perfect but Ernie’s is too short—and then Ernie pulls on his side and Bert’s side is too short and on and on and on. That’s my hair. Needless to say, I was not a happy camper. I took some deep cleansing yoga breaths and tried not to be pissed off about my hair. I was trying desperately not to furrow my brow—school age children could probably get lost in the space between my eyebrows (it’s called the Glabella, by the way…don’t say I never teach you anything). I like to think that it’s from being pensive and not just being old. I was going to relax my face and take a decent picture if it killed me. After all, that’s why I had practiced smiling in the mirror for twenty minutes that morning. I had finally perfected a smile/look that didn’t make me look like an escaped mental patient or like I was about to cry (my default “smile” with my lips pursed together so you can’t see the space between my teeth). But it all went out the window when Satan’s photographer started telling me how to stand. “Put your left foot there and your right foot there,” he said, pointing to the shoe prints on the floor. Erm, I kind of felt like I’m doing ballet, but okay. I stood the way he tells me. “Good. Now keep your lower body facing that way and turn your upper body toward me.” Are we taking a picture or playing Twister here? This position does not feel natural at all. I was trying desperately not to grimace and show those stupid brow crevices. What?????? 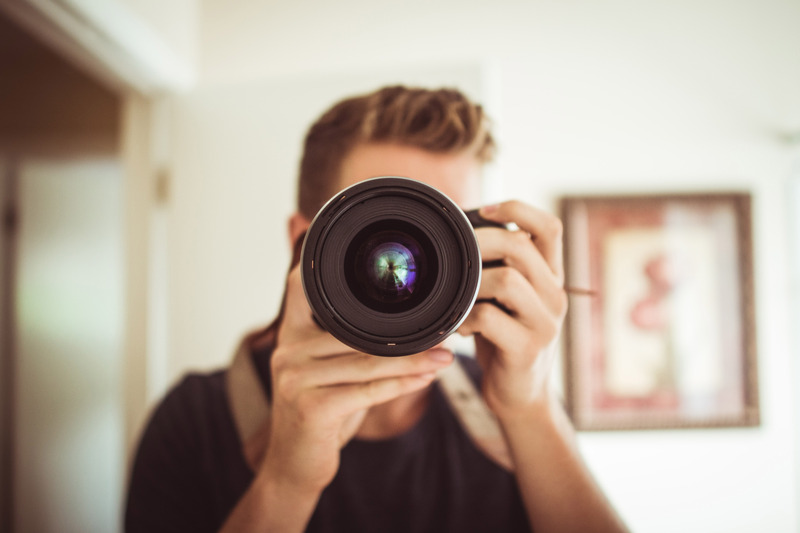 My practice smile runs involved using photography cheats—sticking my chin out to reduce my “chins”, pressing my tongue against the roof of my mouth for just the right amount of smile, and opening my eyes wide before the flash so my eyes don’t close. None of the poses I practiced involved this double chin making, googly-eye causing, neck stiffening move this guy was describing. As I tried it out, I was pretty certain I looked like I was having a stroke. In fact, I almost felt like I was having a stroke. “Now smile!” Damien called out. Miranda Priestly Jr. snapped the picture and then groaned with glee (yup, he was taking delight in this). He spun the screen around to show me. One eye was closed a droopy looking because of the stupid head tilt thing and my smile was crooked—I actually looked like the left side of my face was paralyzed. “Okay, look this way, tilt your chin to the floor, blink both eyes, bite your lip and SMILE!” POP! He took the picture and shook his head again. “I don’t think you’re gonna like this,” he clucked, pointing at the screen. I craned my neck to get a look. Like it? I HATED it! It looked like I was TRYING for duck lips and failing miserably. “Uh, yeah. Retake that sucker,” I said, immediately launching into the whole chin lift, brow tuck, smile like you have diarrhea and need to get to the nearest toilet pose without any prompting. He took the picture and made a face. “No!” I told him. I could see the picture. The top of my face appeared surprised and the bottom half appeared like I had lockjaw. At least my eyes were open and I wasn’t drooling out of the corner of my mouth. It wasn’t going to get any better and I was risking pulling a muscle by retaking any more pictures. So today that delightful gem arrived…and so, so much worse than I remembered. Not only is my giant forehead shining for all to see with my “desperately needs to be botoxed” glabella, but my face looks GRAY. There’s an actual shadow or something across my face that makes me look like I’m about to become a zombie or be sick on the photographer’s shoes. I’ll even be brave enough to let you all see—look at it next to last year’s picture (and YES, I know, I’m wearing the same shirt) and tell me what you think. Oh, and notice the stray hair off to the left—after the Devil Incarnate “fixed” my hair. I think I’ll get a retake.